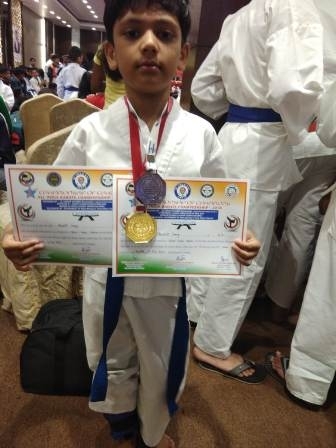 For 7-year-old Harshit, a Class II student at TSVS and a national karate champion, the sky is the limit. And helping him reach his top game are his parents and the sports department of The Sanskaar Valley School. 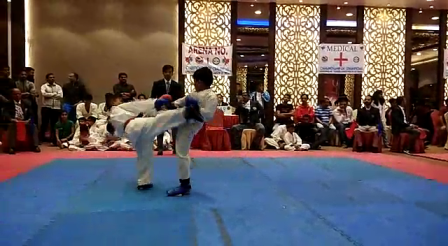 The efforts of the little champ recently bore fruits at the All India National Karate Championship that was organized by J.D. Karate Academy, Goa from 14th to 16th October 2018. 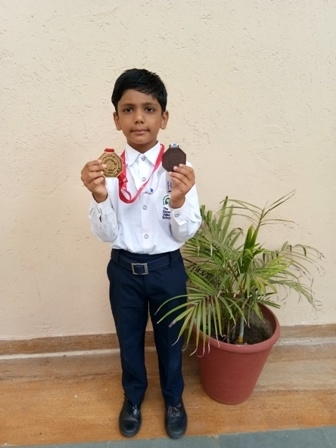 In a competition that witnessed participation from 80 athletes from across the country, Harshit Garg won a Gold Medal and a Bronze Medal in the competition. Dr. Amlan K. Saha, Principal-TSVS, Mr. Ajit Singh, Head of Sports, Mr. Vikas Chaudhary, Head of P.E. 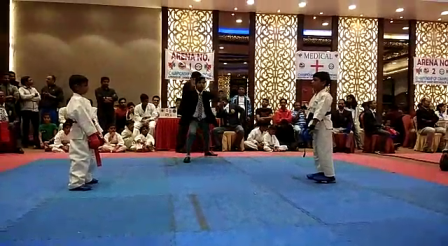 Department, Mr. Satish Jadhav, Karate Coach and other teachers from the sports department congratulate Harshit for his victory.